Pieters a cert. Hang on, no he isn't. How about Cissokho instead? | NUFC Blog. Pieters a cert. Hang on, no he isn’t. 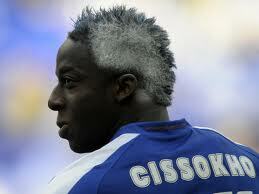 How about Cissokho instead? Newcastle United are still hunting for a new left-back with either Erik Pieters or Aly Cissokho looking as if they’re the most likely targets. There are confusing and contradictory reports flying around about Erik Pieters and his potential transfer to Newcastle. “If a club from the Premier League says they want you, and that is the case, then you know the financial means they have. “Whether I play for PSV at Excelsior on Sunday or am already at Newcastle I do not know. However, contrary to the British press, the Dutch press seem to think that Erik Pieters will stay at PSV. The Dutch football news site Voetbal Primeur is carrying a report that suggests PSV’s Technical Director Marcel Brands told Dutch newspaper Algemeen Dagblad that he now expects Pieters to remain at PSV. I think he means bench. This could all be part of the transfer negotiation ‘games’ these people play of course, so I would guess it could go either way at the moment. Doubts about the Pieters deal would however explain our continued interest in Aly Cissokho who, according to some stories in the French press, is due at Newcastle on Monday for a medical. Apparently there’s still some negotiating to be done on the price or, to be more precise, on the financial structure of the deal. Lyon allegedly want the entire transfer fee up front but Newcastle want a system of staged payments based at least partly on performance. With time running out in the transfer window things might swing in favour of us in terms of negotiation, although only if a player’s current club wants to let their player go. If a club doesn’t want the player to leave – as, it seems, is the case with Pieters – then we’re probably not gaining any negotiating power in terms of ‘late pressure’ from the rapidly closing window. Pieters deal dead, Cissokho deal cooling. Santon now seems most likely. Wayne to Bridge the gap at left-back? Toon ups Pieters bid to £7m while Bendtner remains target striker. Allegedly. Is Toon interest in Pieters now finished? bids will go in at the last minute of the transfer window we will end up with a free agent, hope im wrong but it has happened every transfer window with Ashley. This window has sucked the big fella so far. Joey going is a shame,guess he must hate MA and DL as much as me. I’m frightened at the thought of Wednesday. Most clubs are probably excited by deadline day…I’m worried about Colo, Jonas and Tiote. We won’t sign a striker, 90% sure of this. We will get a left-back though (I think), probably Bridge. If we spend 6 million on one player…That’ll be it. No chance Ashley will pay 10 million+ on two players. Disgraceful really, we shouldn’t be talking about any potential arrivals 4 days before the window closes, Llambias has had long enough to get this sorted. This window has shown that the board totally undermine Pardew and what he wants / needs. Unless of course he is part of the spin. Depressing. If this board had any ambition and got in a striker / left-back and centre back for cover, it would show that they have ambition. I think average is all they want, while Ashley recoups and eventually makes a profit on what he has spent on the club. I’m sure I’ve read comments at the start of this window. Mostly laughable like Gervinho’s coming here, Gameiro’s coming, we will spend £35 million because Ashley now has the money to show ambition etc. There were a couple comments I remember reading that said “we will get linked with all these lovely players and in the end we will sign shite like Carlton Cole”. 4 days left, what will happen? Mike Ashley has always money to spend if he wants. He has spent nothing on transfers since he got here. Yeah he spent £100+ million on debts etc, but some of that was his own fault! He got the club relegated, he appointed Dennis Wise and he raised the wage bill. The man has a fortune of £1.9 billion. Astonishing. Valle, if we end up with Cole and Bridge I’ll cry. This ‘line’ they keep referring to seems massive, do you think it’s based on the great wall of china, gaza strip or yee old Berlin wall? Spent months trying to penetrate it and get people over it. Hope the players trying to get over it have a ladder and a helmet, anyone know if sports direct make them? Munich, what’s that saying…”if you don’t laugh you’ll cry”? What happened to my smiley face at 15? I’m outraged. Good to see Nobby on SoccerAM with his trumpet. Quality player. supermac@12….a tad pessimistic don’t you think ? supermac…we all need to have thick skin and be eternal optimists to follow the toon. But we cannot do owt else mate, it’s in the genes…buckle up for a bumpy ride ! Nobby Solano, a legend of a footballer who didn’t cost the toon too much from what I recall. Yeah, one of Dalglish’s better signings was Nobby. £1.5 mill I think. Bargain. Ranger’s been arrested. That should just about spell the end of his career up north. Nottingham Forest V Newcastle. Not too bad, could be worse. Aye but, no but, Brest themselves say that they haven’t had a bid. Divven’t knaa about Roux like. He looks like a refugee fron ‘Geordie Shore’ or whatever it’s called. Seems to misplace a lot of passes but his movement looks excellent. Premier League footballer Nile Ranger has been arrested after a man was left unconscious with a suspected broken jaw in an attack. The 33-year-old victim was found outside Cosy Joes Pub, in the Groat Market in Newcastle, after police were called in the early hours. Mr Ranger, 20, was later arrested on suspicion of assault. Newcastle United refused to comment, but a source confirmed the striker had been arrested. A Northumbria Police spokesman said: “The injured man was unconscious and was taken to the Royal Victoria Infirmary suffering from a suspected broken jaw. “The offender made off and police carried out a search of the area. “A 20-year-old man was arrested a short time later, nearby, on suspicion of assault and is currently helping police with their enquiries. Mr Ranger, from London, moved to Newcastle in July 2008 following his release by Southampton. That guy has 1 f##king brain cell. His actions are what is p@@sing me off about NUFC. His negative f@@king attitude. GET BEHIND THE TEAM….or if you wanna make urself useful…. EAT THE OPPOSITION!!!! though thank f**k he has decided to boycoutt. Atleast we won’t have to put up with thta embarrassment. You were doing really well too Angel! There are still alot of games to catch up though. seriously,i’m getting fed up of this Yes No crap.from now on until the ruddy player Is actually at st james park holding up a black and white strip i won’t believe anything. leafy, your f**kin’ bang out of order calling that kid. that bloke has done nothing but support the team for years.beefy has every right to critisize the board at newcastle.mike ashley and co are an absolute disgrace,and yes there should be protests against them. this “over the line”,spiel comes straight from ashley’s mouth,that patter was doing the rounds when hughton was manager. i think i’ll apply for the managers job at newcastle,you dont have to do very much.ashley picks the players,picks the team,all you have to do is front up to the press and say, “we are where we are”,”this is where we are,at the moment”,and talk about getting people over a line. f**k me yosser hughes could do the job. Beefy’s crash diet and new healthy lifestyle didn’t last for very long. I heard that beefy used to support 5under1and. Mackems, yes but also people form another toon site. Toonsy did no such thing Worky. Not once did I say you went to Thailand to sleep with ladyboys. How you doing anyway? I hear birthday regards in order? “Toonsy did no such thing Worky. Not once did I say you went to Thailand to sleep with ladyboys. Yes you did Toonsy, posting as ‘workylies’ after I banned you. You also told people that I was an alcoholic on your site amongst other things.